This is the perfect size for scooping ice cream. It also comes in handy for evenly portioning cupcake and muffin batter or making meatballs. 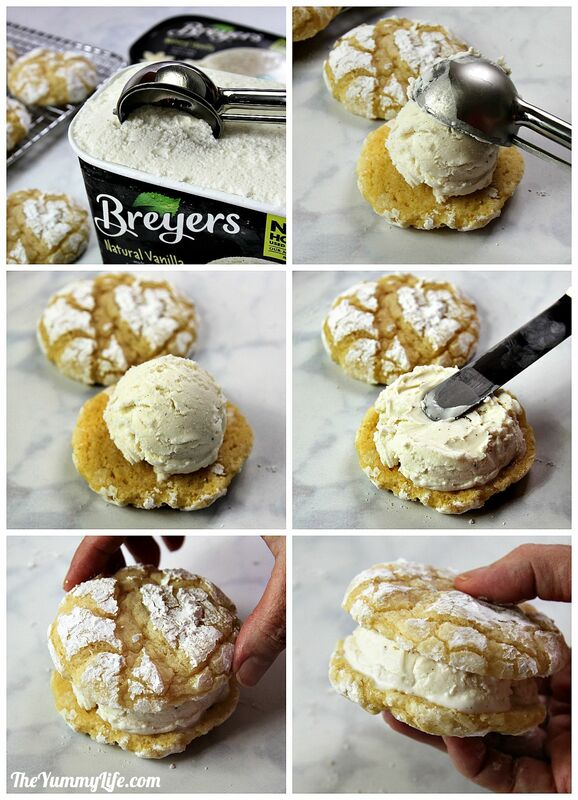 This is handy for spreading out the ice cream on the cookie. 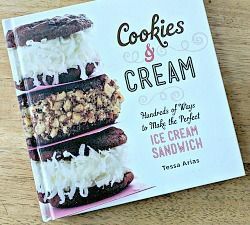 This is an awesome cookbook with hundreds of great ice cream sandwich recipes! St. Louis's favorite cookie becomes a delicious frozen treat. Easy to make ahead and serve. Put a metal tray in the freezer to cool it down. Spread out 4-5 cookies on a clean surface, tops down. 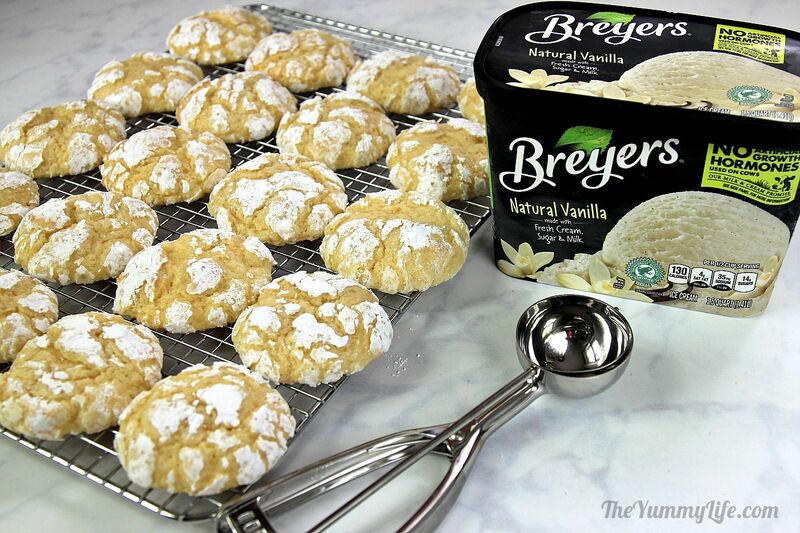 Add a scoop of ice cream on top of each cookie. With a table knife or offset frosting spatula, spread ice cream into an even layer on each cookie. Place another cookie on top of each one, tops up. Press down on top of cookie to ensure it is firmly in contact with the ice cream layer underneath. Immediately transfer the finished ice cream sandwiches to the tray in the freezer, arranging them in a single layer. Repeat with remaining cookies and ice cream, working with 4-5 cookies at a time. After 1 hour in the freezer, remove ice cream sandwiches just long enough to wrap each one in plastic wrap or individual plastic bags. Return wrapped cookies to freezer. To make ice cream sandwiches up to 1 month ahead, place the individually wrapped frozen sandwiches inside a large Ziploc freezer bag, pressing out as much air as possible before sealing bag and placing in freezer. This recipe is one more way to indulge in gooey butter deliciousness that is enjoyed in cake and cookie form all over my city of St. Louis. It begins with a batch of Gooey Butter Cookies. All you have to do is spread a scoop of ice cream between two cookies, and you've got the yummiest ice cream sandwich of them all! 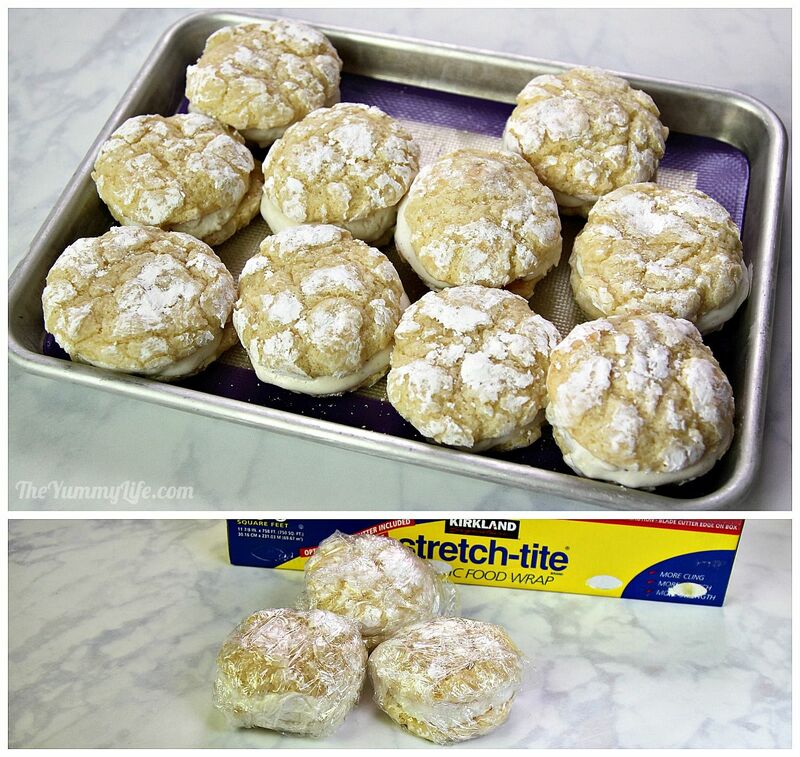 These cookies maintain their soft texture even when they're frozen making them easy and enjoyable to eat. Once you've made a batch of Gooey Butter Cookies, it's a snap to assemble these and keep them in your freezer for an indulgent treat whenever you like. I also like to serve them when we have company. Everyone loves them, and they are so easy to serve since they are already pre portioned in individual servings. Step 2. Allow ice cream to soften slightly at room temperature until it's easily scoopable. Place a cookie, top side down, on the counter, add a scoop of ice cream, and spread it with a table knife or small offset spatula. Place a second cookie on top and press firmly to adhere ice cream to top cookie. 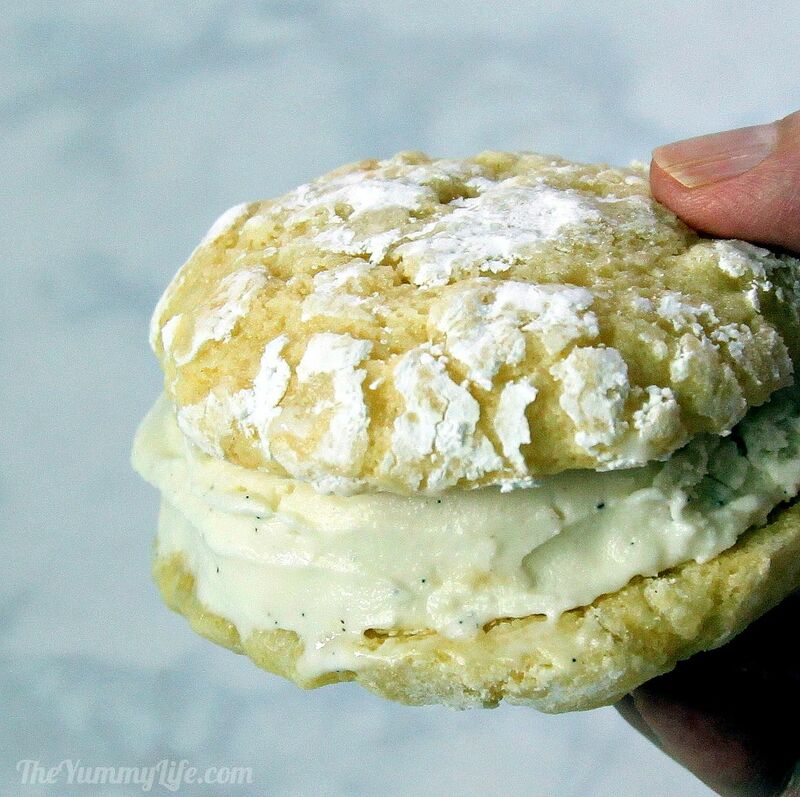 I usually assemble 4 or 5 ice cream sandwiches at a time, stick them in the freezer, and proceed to assemble another batch, continuing until they're all assembled. Step 3. 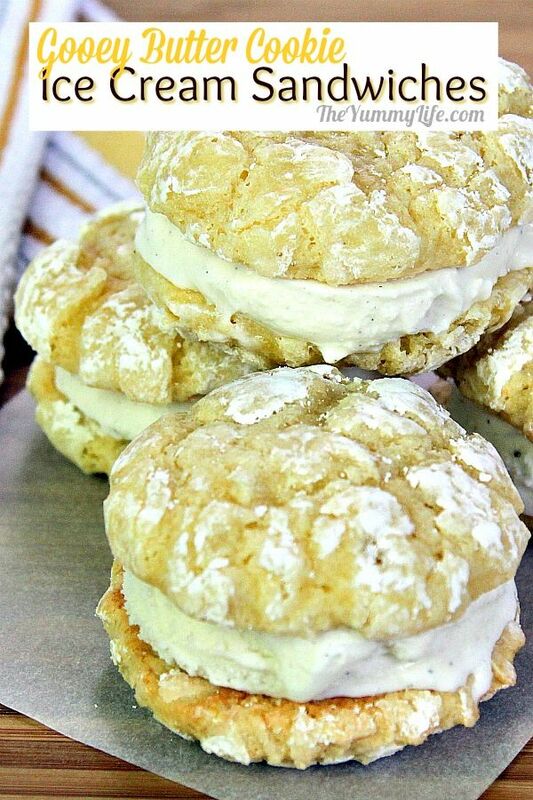 Place the ice cream sandwiches on a tray in the freezer as soon as they're assembled. Let them harden for at least an hour, and then wrap each of them individually in plastic wrap or a small plastic bag. If you're making them more than a day ahead, place the individually wrapped sandwiches inside a large freezer Ziploc bag and squeeze out as much air as possible before sealing. They will be good for up to a month. 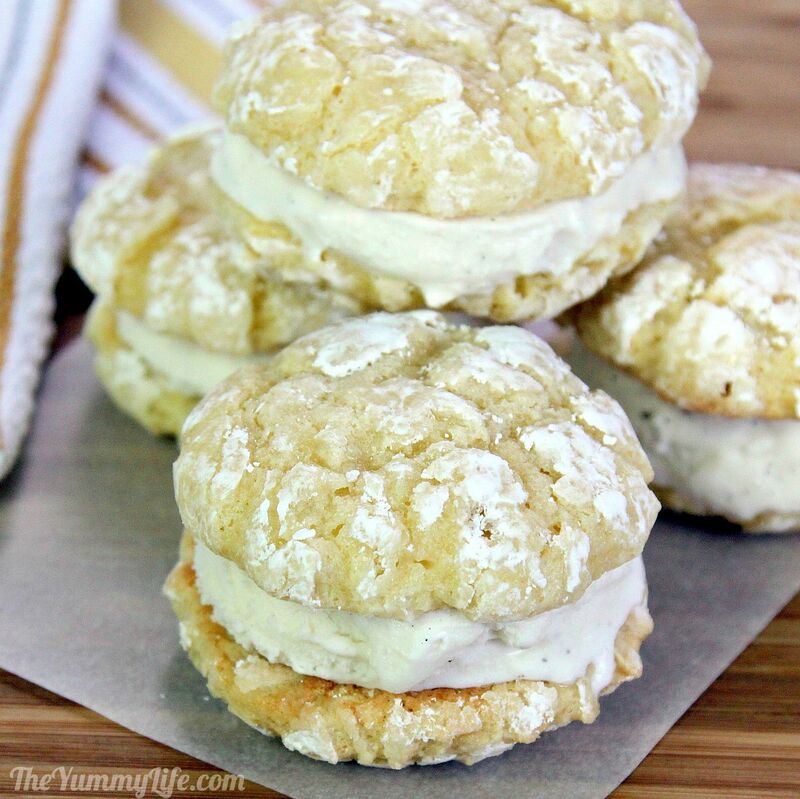 That combination of soft, melt-in-your-mouth cookies with cool, vanilla ice cream is fabulous! You can mix it up by using different flavors of ice cream. 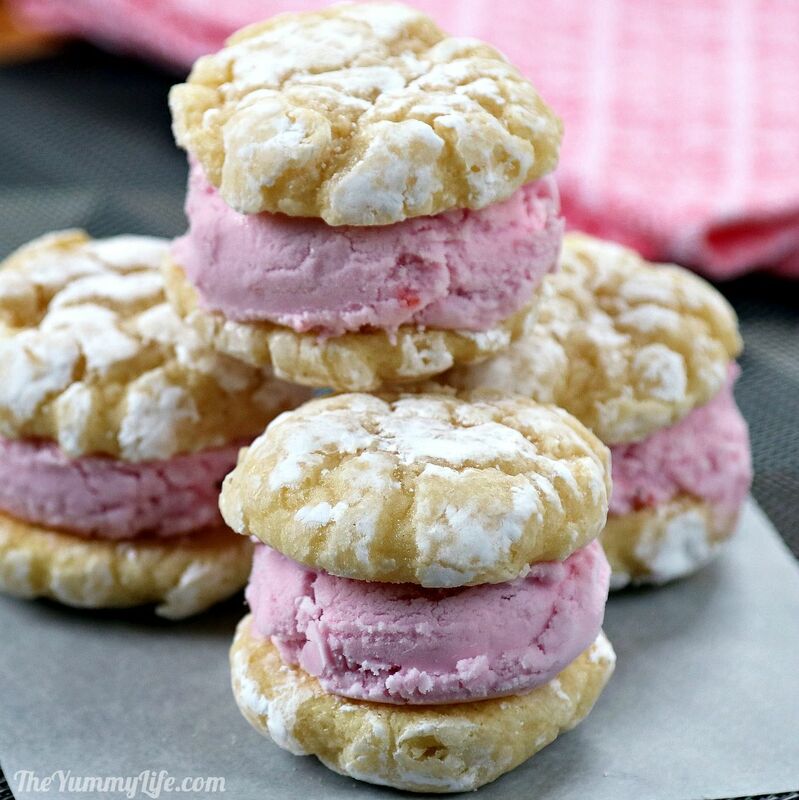 Here are some I made with strawberry ice cream--delish! A great way to feed a crowd! I periodically make lunch for my sons' company Less Annoying CRM. Somehow a fun tradition got started of making a variety of flavors of ice cream sandwiches for dessert. It's easy for me to assemble them at home, keep them in my freezer, and transport them in a cooler when I'm providing lunch for this hungry crew. Since they are pre-portioned, they're easy to serve. They are a sure hit every time! 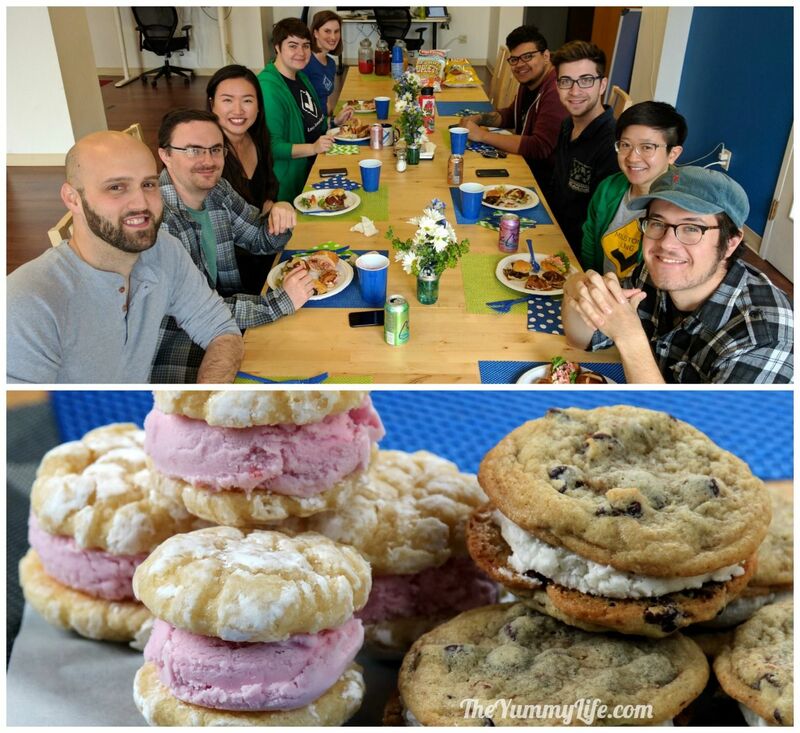 In the photo below, they're enjoying a slider buffet for lunch followed by a choice of gooey butter cookie or chocolate chip cookie ice cream sandwiches. It's fun to play around with different cookie and ice cream combos. 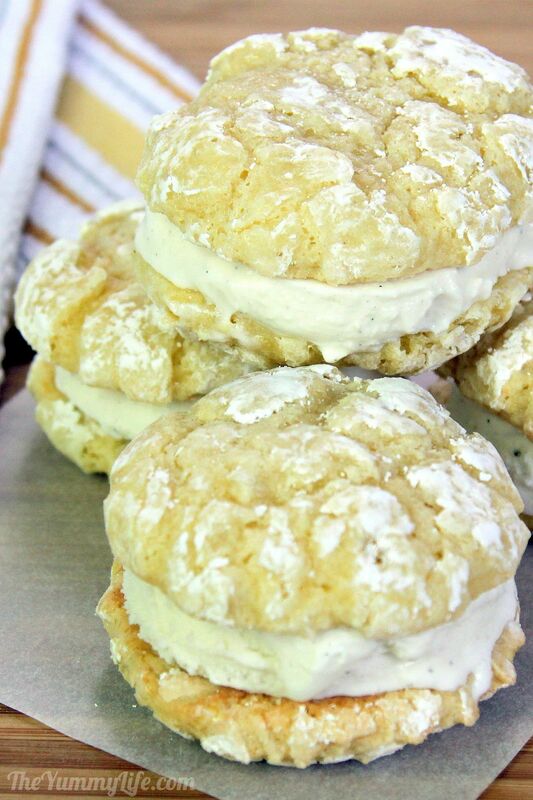 My personal favorite is gooey butter cookies with vanilla ice cream. It's hard to beat!